PayPal: donate the amount of money of your choice once, or once a month. 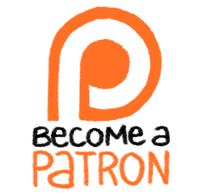 Patreon: become a subscriber and pledge a small amount of money every month for exclusive access to bonus comics, monthly WIP videos, and more. Ko-fi: buy me a coffee hot chocolate! My shop: buy a book or two, maybe? If money is tight, that’s okay! 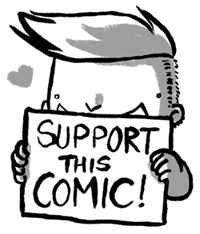 You can support me in other ways — tweet, share on Facebook, reblog me on Tumblr, send a link to friends to spread the word! Anything helps! I love reading comic. Thanks for sharing.